What would happen if your senior-level leaders, key people and high performers suddenly left your organization? Research shows that 56 percent of companies, and 75 percent of government and nonprofit organizations have no succession plan in place. This training shows organizations how to develop leaders within and avoid extended and expensive vacancies in critical positions to assure stability of organizational operations. 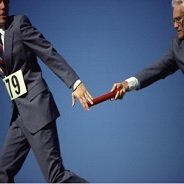 Calculating the ROI of Effective Succession Planning and More!